-14 ALLE NOZZE: IL CALENDARIO PER SPOSE AL TOP! ABITO DA SPOSA CON O SENZA STRASCICO? 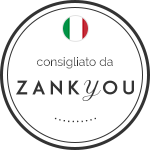 CON ZANKYOU IL SITO WEB DELLE TUE NOZZE! I RISULTATI DEL SONDAGGIO ZANKYOU "ZIWO 2012"! QUESTIONE DI STILE: IL MOMENTO!